While Evan and I don’t join the throngs of folks downtown, we do have a tradition of our own. Every year our very dear friends, Caitlin and Keith, throw an Irish celebration complete with homemade corned beef and cabbage. And a hefty supply of Guinness, of course! This year I’ll be contributing a couple loaves of Irish Soda Bread to the spread. 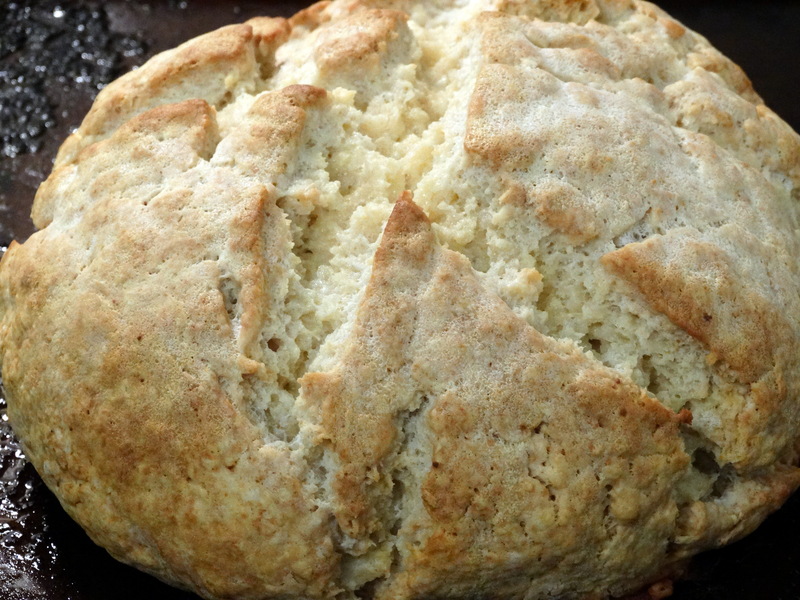 Soda bread gets its name because baking soda is used as the leavening agent instead of yeast. It is dense, easy to make, and delicious! Want to make your own? You’ll need flour, white sugar, baking soda, baking powder, salt, butter, buttermilk, and an egg. Preheat your oven to 375 degrees and lightly grease a baking sheet. While the oven is heating add 4 cups all-purpose flour, 1/4 cup white sugar, 1 teaspoon baking soda, 1 tablespoon baking powder, 1/2 teaspoon salt, and 1/2 cup (1 stick) room temperature butter to a large mixing bowl. Use a hand mixer to combine well. 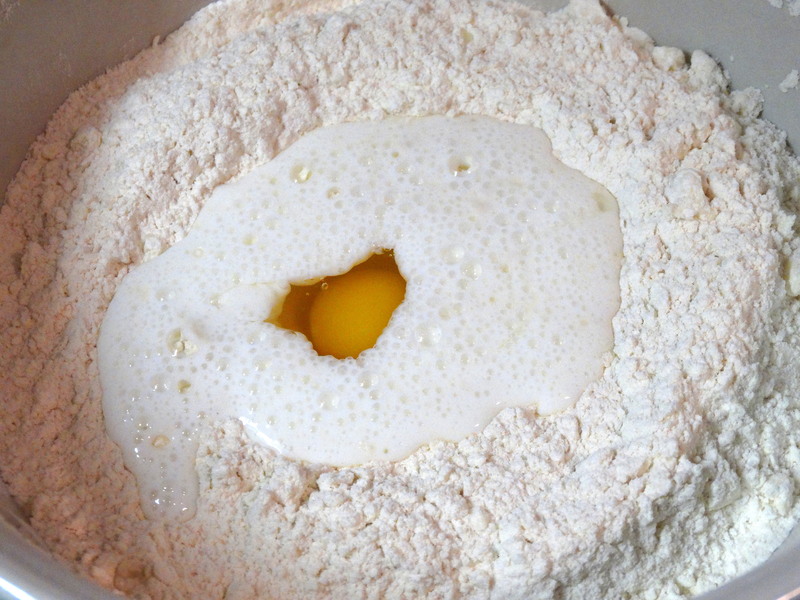 Make a small well in the center of the mixture. Add 1 cup buttermilk and 1 egg. Mix again until combined. It’s important to use softened butter! 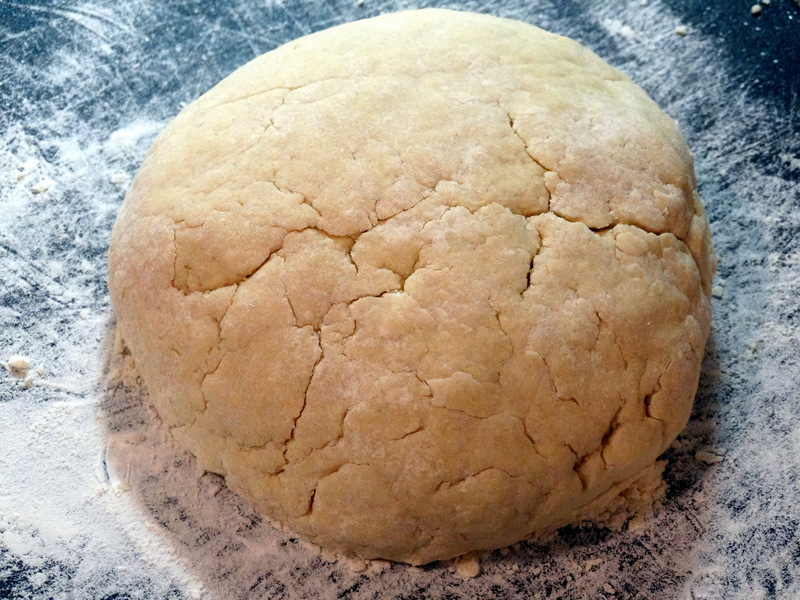 If it’s not soft enough, it won’t mix well into the flour, making the dough chunky and hard to work with. 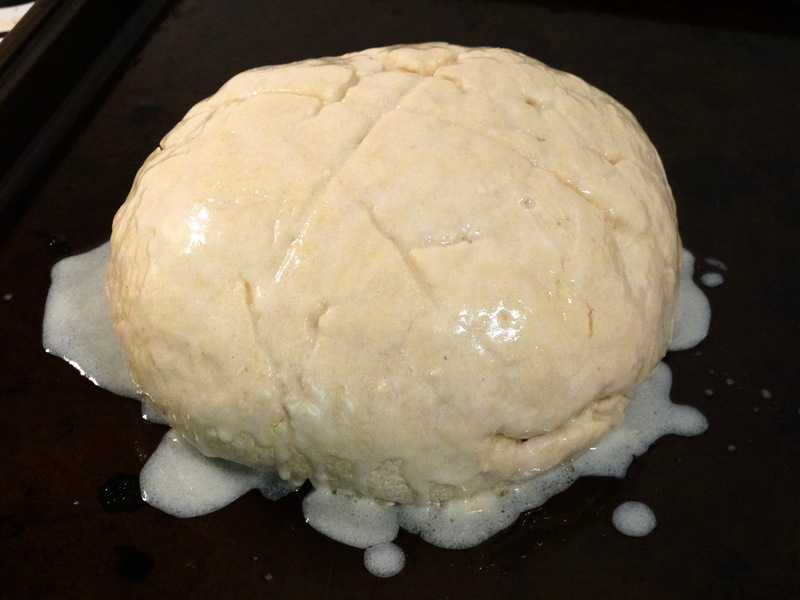 Use your hands to press the dough together the best you can in the bowl, then flip it out onto a lightly floured surface and form into a round loaf. Transfer it to your prepared baking sheet. 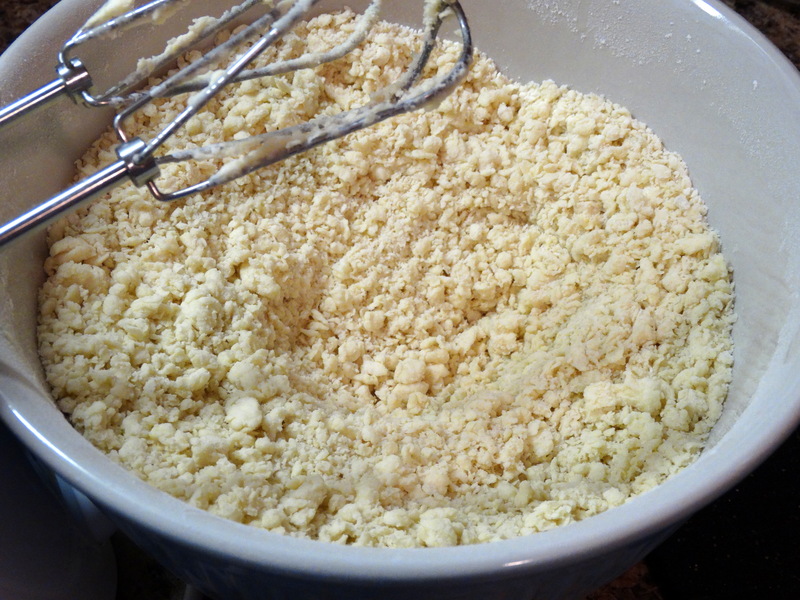 Melt 1/4 cup butter in a small dish and mix with 1/4 cup buttermilk. Cut a large shallow “X” into the top of your loaf, then brush the loaf with half of the buttermilk mixture. Bake for 30 minutes. Remove the bread from the oven and brush with the remainder of the buttermilk mixture. Return it to the oven for an additional 20 minutes. Your bread is done when a toothpick inserted into the center comes out clean. Allow to cool slightly before serving. Share and enjoy! 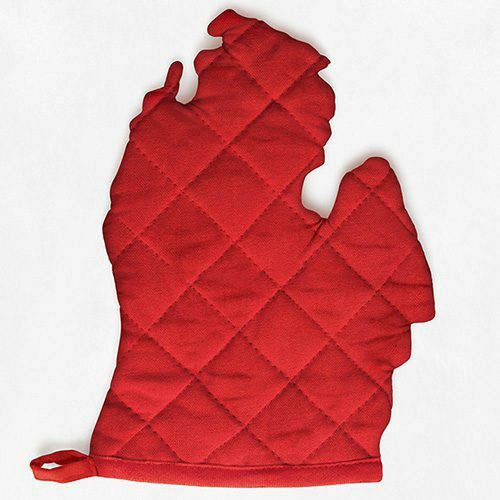 1) Preheat your oven to 375 degrees and lightly grease a baking sheet. While the oven is heating add 4 cups all-purpose flour, 1/4 cup white sugar, 1 teaspoon baking soda, 1 tablespoon baking powder, 1/2 teaspoon salt, and 1/2 cup (1 stick) room temperature butter to a large mixing bowl. Use a hand mixer to combine well. Make a small well in the center of the mixture. Add 1 cup buttermilk and 1 egg. Mix again until combined. 2) Use your hands to press the dough together the best you can in the bowl, then flip it out onto a lightly floured surface and form into a round loaf. Transfer it to your prepared baking sheet. 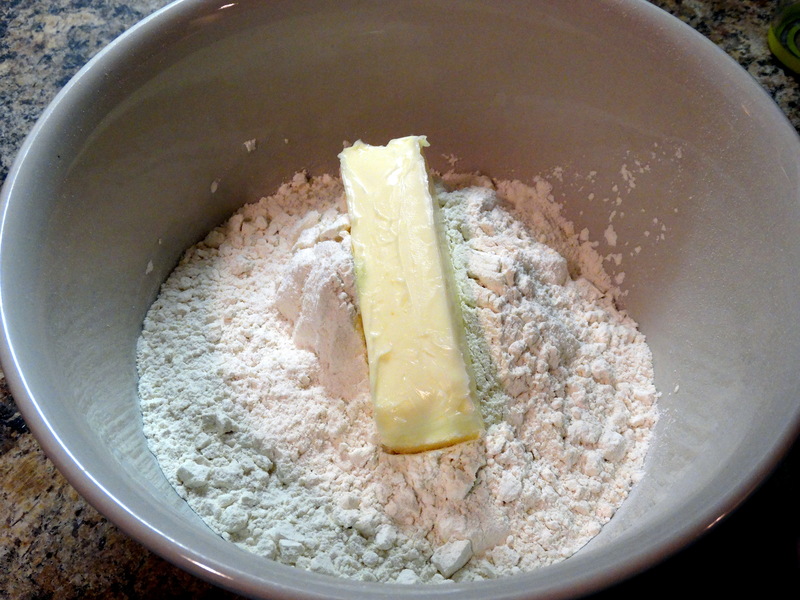 Melt 1/4 cup butter in a small dish and mix with 1/4 cup buttermilk. Cut a large shallow “X” into the top of your loaf, then brush the loaf with half of the buttermilk mixture. 3) Bake for 30 minutes. Remove the bread from the oven and brush with remainder of buttermilk mixture, then return it to the oven for an additional 20 minutes. Your bread is done when a toothpick inserted into the center comes out clean. Allow to cool slightly before serving. Enjoy!